It’s perhaps a little odd that one of mainstream sport’s biggest showcases, the Olympics, right now seems to be a good indicator of the market for, and interest in, alternative / street / action sports here in Japan. Not long off the back of PyeongChang 2018 we might still remember the heroics of snowboarding’s Ayumu Hirano, and with so many eyes eyeing up Tokyo 2020 surfing, skateboarding, and sport climbing, all new editions to summer Olympic competition, look set to enjoy (or not) some time in the spotlight. In a way though, to all of a sudden start touting such alternative sports under the Olympic banner, is to do them a disservice. Surf, skate, and climbing along with breaking (breakdancing), dance, BMX, FMX, and just about any other sport you can put the term “freestyle” in front of, have enjoyed strong and passionate support on these shores for some years now, with international organizations having brought contests and world-class athletes to Japan long before any talk of a second Olympics becoming a distinct reality. So, as Japan is about to enter a season of summer festivities which will see a population flock to the beach en masse, we present here some of the events and festivals in Japan that showcase alternative sport competition and performance, as well as celebrate the surf, street and alternative cultures which gave birth to it. Note; this list of events has a summer bent in most cases. Keep and eye out for a winter version in the coming months. The hint is in the name, for those familiar with their surf diction, -- “green room” -- inside the barrel of a wave. So it is that the Green Room Festival in Yokohama presents a weekend of surf and beach culture through live music, art and film with the ultimate goal of reminding us all how cool the beach is, and how we should be looking after it -- a message that doesn’t seem to be getting across if Japan’s most popular summer beaches are anything to go by. Still, let’s not be deterred. The Green Room Festival is a proper charmer, whether you have an interest in surf and beach culture or not. Green Room Festival boasts a grand location, looking out over the bay waters from behind Yokohama’s Red Brick Warehouse, with action largely taking place between two stages that typically host a mix of international and domestic artists that have seen the likes of Donavon Frankenreiter entertain audiences over the years. The festival’s “Paradise Ship” takes festival goers out over the waters to enjoy more the vibe of a nightclub. Dance event Shirofes was introduced into proceedings at the Hirosaki Design Week in 2016. Organizers, Funky Stadium, put together a dance performance program that features dance (of course), music, art and even projection mapping hosted at venues in Hirosaki University and Hirosaki Park in Aomori Prefecture, northern Japan. The “fes” is claimed on the Hirosaki City government page to be the largest dance performance festival in the world. The 2017 edition of Shirofes. saw around 7,000 visitors attend the event which was likely bolstered by the presence of a Red Bull BC One Camp, one in a series of sub-contests for the world’s premier breaking (breakdancing) showpiece, the Red Bull BC One. In a similar vein, Shirofes 2018 will be host to the “Pop 1on1 Battle Samurai Asia Final,” final qualifier to decide Asia’s representative at the Pop Dance Battle World Championships. 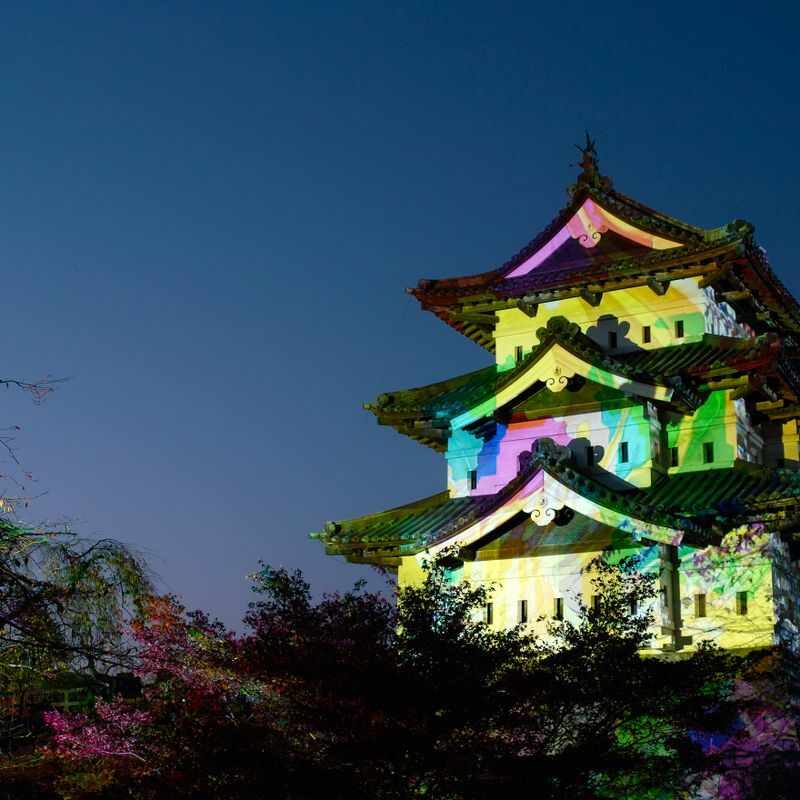 The action looks set to go down in front of the same stunning backdrop as last year, Hirosaki Castle with dancers from China, Taiwan, South Korea and Japan set to battle it out. Freestyle football, freestyle basketball, and hip hop battles complete the alternative action at this year’s Shirofes. “A festival for those who love the ocean,” goes our loose translation of the blurb introducing Ocean Peoples, at Tokyo-based festival that brings the ocean vibes once again to 2018 and its Yoyogi Park / outdoor stage venue. And it’s free! 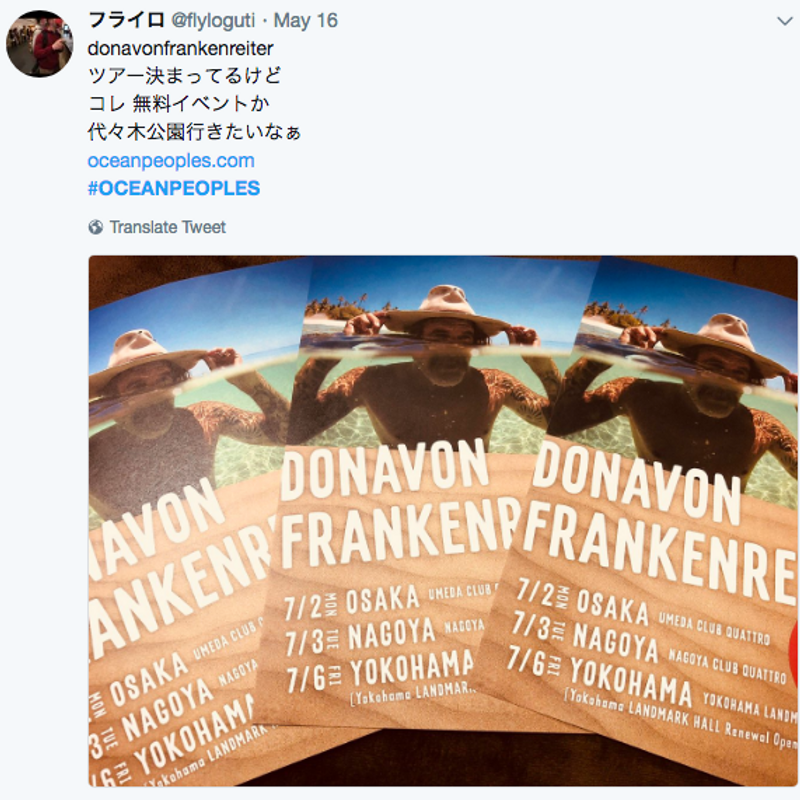 The core concept of this free, two-dayer in central Tokyo stems from the ocean as being host to, or responsible for, a variety of cultures -- sport, music, food, travel, not the mention the “environment” -- with organizers encouraging festival goers to reflect on their relationship with the earth’s salty bodies of water. In keeping with the latter sentiment, Ocean Peoples also promotes those projects that are helping to keep our oceans and beaches clean. An example of this is the work being done with the Kanagawa Coastal Environmental Foundation to install trash cans along the coast -- a project has been going since 2007 which has seen around 79 trash cans installed to date. Expect plenty of beach food at the “Beach Market” which looks set to gather some 30 stalls to 2018’s maritime celebrations (as well as a beer garden)! The festival’s “Beach Market” brings together fashion and beach goods as well pieces from popular artists both domestic and international. The market in 2018 will be made up of around 70 stalls. “Beach Music” delivers live sets from artists who are known to give off the beach and ocean vibes. Ocean Peoples 2018 includes a set from surfer Donavon Frankenreiter. 2018 will be the 7th edition of the festival which started in 2012. Typically played out in the waves of Kugenuma Beach, Kanagawa, the Murasaki Shonan Open (organized by the retailer of the same name) is a stop on the World Surf League Qualification Series tour through which surfers compete to join the world’s elite on the Championship Tour the following year. 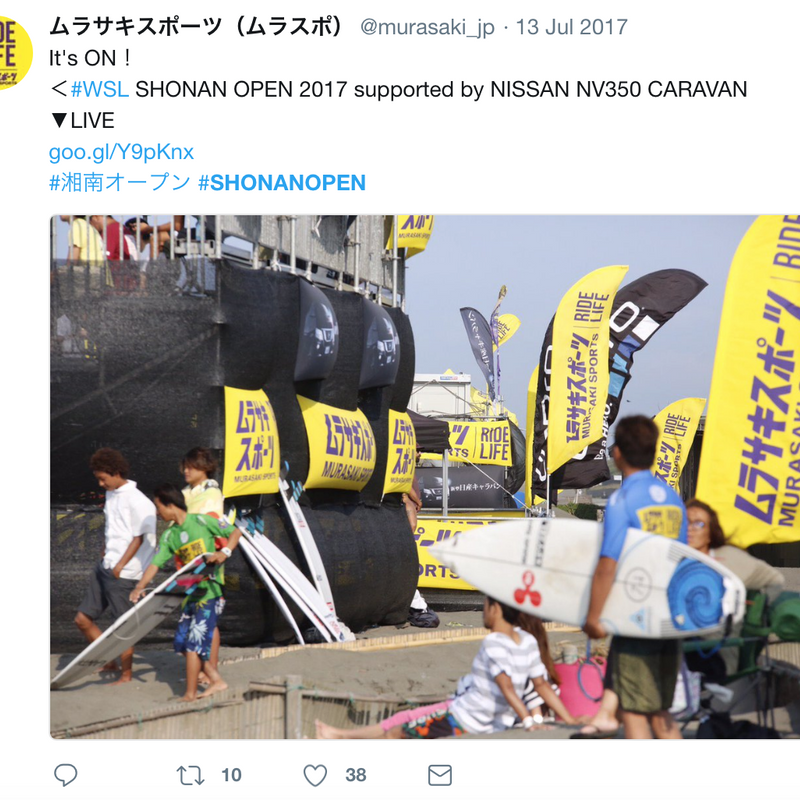 Although the Murasaki Shonan Open doesn’t command the kind of QS points value as other stops on the tour, the contest still gathers an international field of surfers who are aware of Japan’s marketing potential and its legitimacy as a powerful surfing resource. For many visitors though, the Murasaki Shonan Open is more than a surf contest, it’s a celebration of alternative sports and beach culture with the Kugenuma Beach venue hosting live music and performances in skateboarding, BMX, dance, freestyle football and more. And it’s all down by the beach. Expect plenty of toned bodies and tans! “A mythological, fire-breathing monster, commonly represented with a lion's head, a goat's body, and a serpent's tail.” begins the explanation of what “Chimera” is. 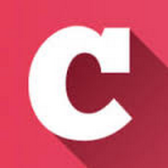 The people at Chimera have been organizing their “Chimera Games” since 2015 at venues in Yokohama and Tokyo. "Vol. 5" of this event took place in Tokyo’s Odaiba district in May and featured competition, performance and demonstration in the form of skateboarding, BMX, skipping, dance, drifting and more. The games in particular gathers together an impressive field of freestyle motocross riders (FMX) with the likes of Thomas Pages, Takayuki Higashino, and Jeremy Stenburg heading up a world-class roster for competition at 2018’s Chimera Games Vol. 5. The multidisciplinary FISE World Series gathers together a roster of amateur and professional athletes from the worlds of BMX, skateboard, mountain bike, inline skate, parkour, bouldering and more for a series events that comprise a very international tour. 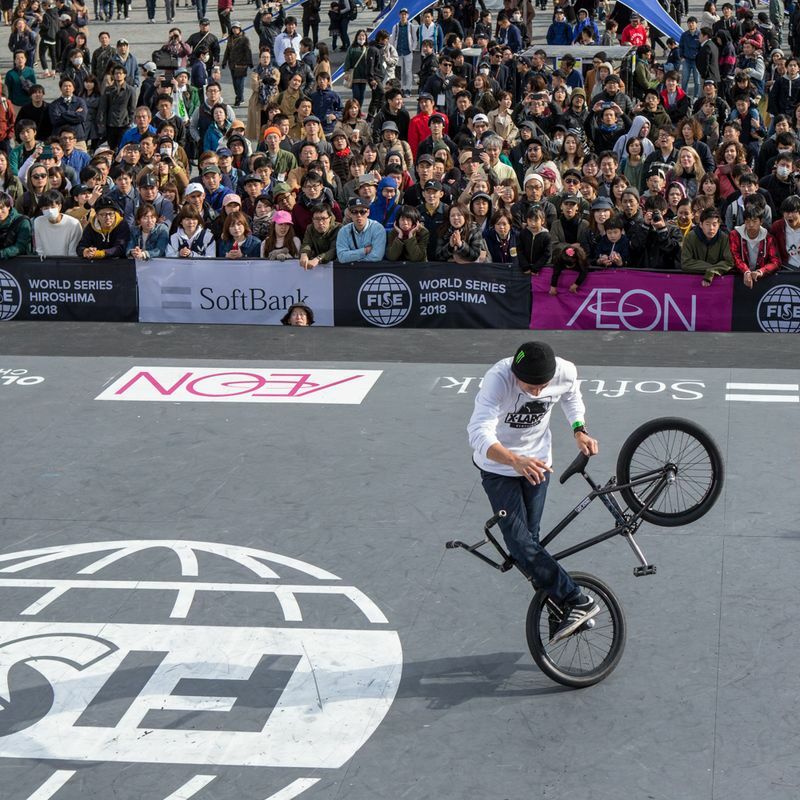 2018 saw the FISE World Series hit up the city of Hiroshima for two days in April, the first time for the tour to land on these shores. FISE stands for “Festival International des Sports Extrêmes” which should betray its French origins dating back to 1997. These days though, one of the most multidisciplinary of events on the alternative sports calendar, FISE has very much gone international. Whether or not event organizers will be bringing the celebrations back to Hiroshima remains to be seen. Host cities for stops on the FISE tour are decided via a bidding process. Cities for 2019 - 2021 tours are expected to be announced in November 2018. 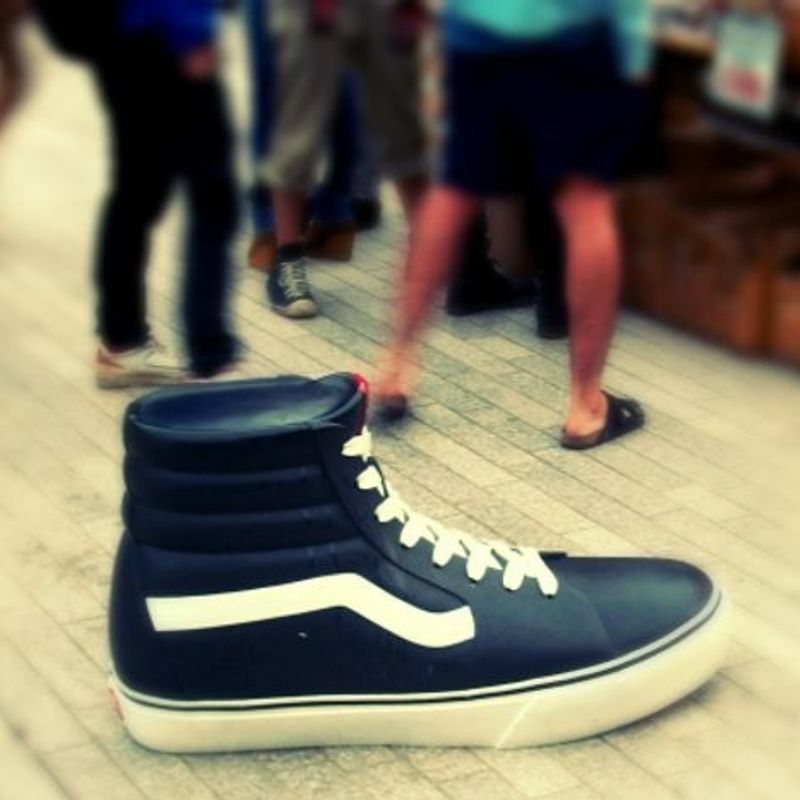 Trade show Interstyle is the largest of its kind in Japan, exhibiting and introducing goods / projects from the “action sports” and fashion industry. “Action sports” is a vague term really. (All sports demand some form of action, don’t they?) What we have at “interstyle” however, are representatives of such sports as surfing, skateboarding, cycling, snowboarding and others that might traditionally be thought of as “outdoors” (in the human versus nature sense). The 2018 edition of “interstyle” saw nearly 300 companies and over 800 brands take up 670 booths at the PACIFICO Yokohama venue, with nearly 18,000 visitors attending the three-day show. Interstyle 2019 will be returning to Japan to the same PACIFICO Yokohama venue in mid-February with expectations of being ever larger. The event will also be run in conjunction with the Japan Snow Expo. 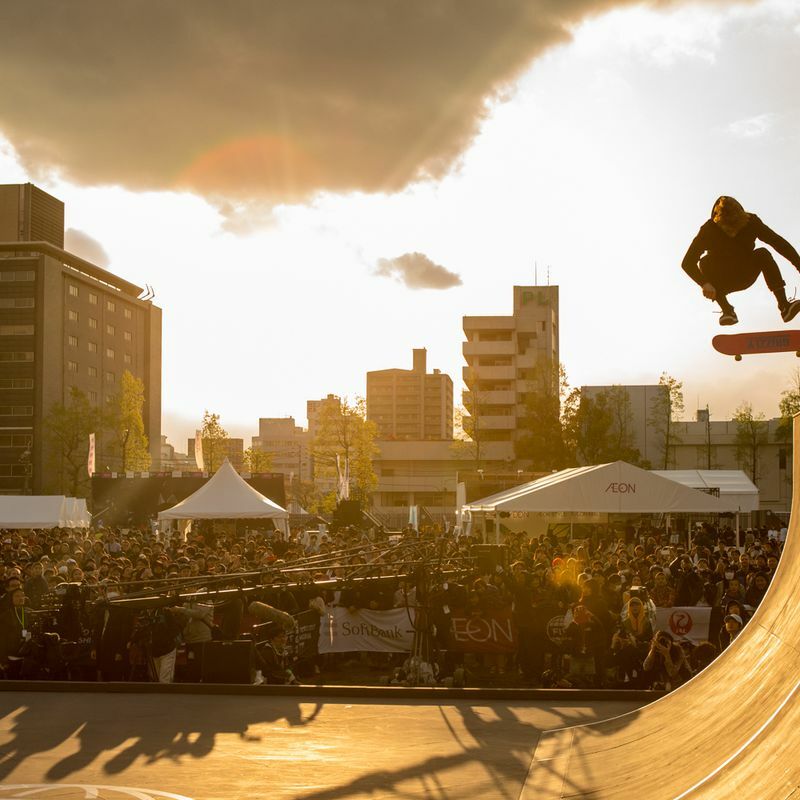 Are you a fan of Japan's alternative, action, street sports scene? Will you be going to any surf, skate events in Japan in 2018? Let us know in the comments.